While I often tout myself as a proud Newfoundlander, I have something to admit. As of last week this time, I had never seen the capelin roll <GASP>. I know – the shock is horrifying. Perhaps this makes me a poser ;-). I recently told my husband about this, and even he didn’t realize I had not experienced rolling capelin. So suffice it to say, this was on my bucket list to see for myself. I mean, can I really call myself a true Newfoundlander without this experience??? We spend a lot of time in the summer in Hant’s Harbour, Trinity Bay and the tiny quaint community next door is Capelin Cove. A presumably perfect spot for capelin. 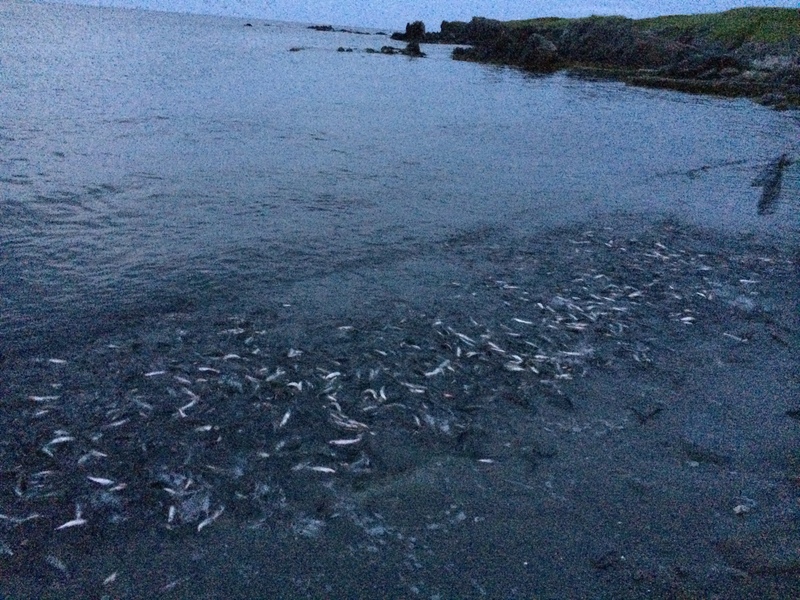 Usually the capelin roll in June, but they were late arriving this year. 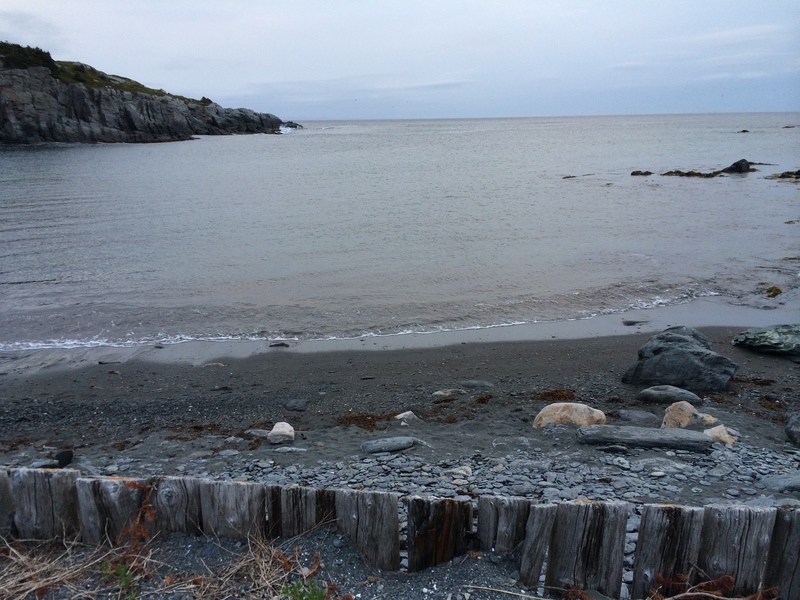 Along with the capelin comes the dreaded capelin weather – lots of rain drizzle and fog. I think I can speak for most of us here – we are ready for that to be gone! 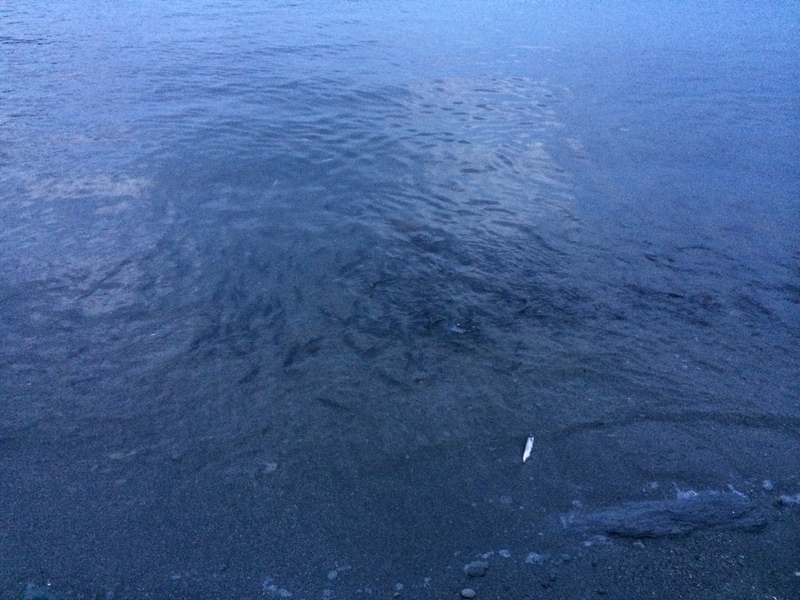 So getting to see the capelin roll is good for lots of reasons. 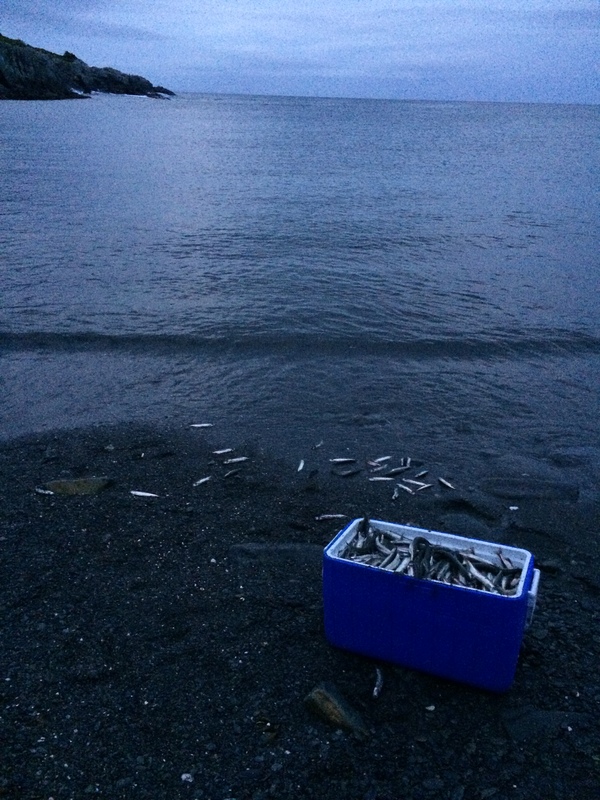 We heard rumblings that capelin had been in the night before, so Sunday night we headed over to the cove around 9:00 in the evening. As the tide was coming in, you could see the shadows of the little fish in the water. Sorry for the dark photos, but between the lack of light and my iPhone, this is all I could manage. At first when the fish came in – it almost looks like big rain drops on the surface of the water. Some people were using their hands and picking them right out of the water, a few had dip nets and one group had a big cast net that half-filled their cooler within seconds of throwing it out and dragging it back to shore chock-full. We weren’t catching any – just watching. Check! Now I’ve seen it. Hopefully we will have better weather and I can move on to other things I haven’t yet done.